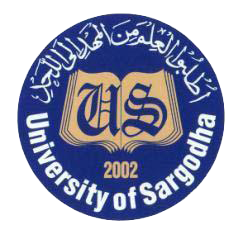 Sargodha, University of Sargodha has announced the UoS B.Com / MA results 2019. The exams department of Sargodha University has conducted the UoS B.Com part 2 annual exams 2019 and UoS MA Physical Education part 1 annual exams 2019. The candidates will note their UoS results 2019 B.Com / MA classes online with their obtained marks and status of the students during their exams. You Can Get UOS Results Here.